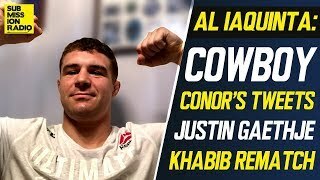 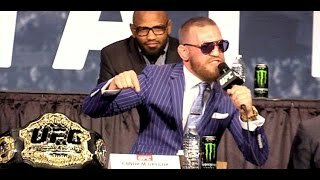 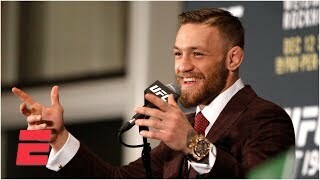 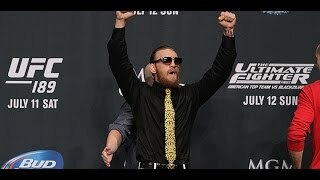 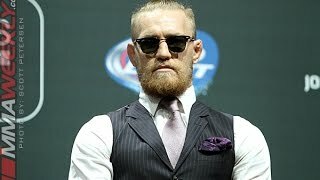 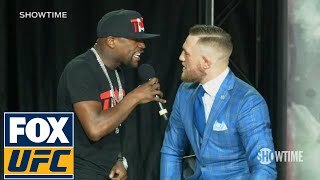 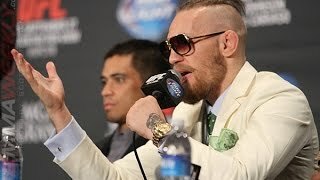 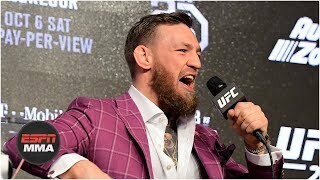 Conor McGregor Against Cerrone and Dos Anjos "Stuck In The Mud Division"
http://www.MMAWeekly.com/ -- Conor McGregor was taking on half the stage at the UFC Go Big event saying that after he kills the Featherweight division that he is going to the "stuck in the mud" Lightweight division. 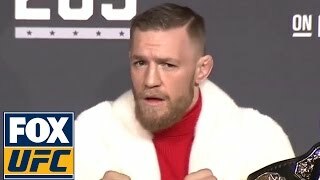 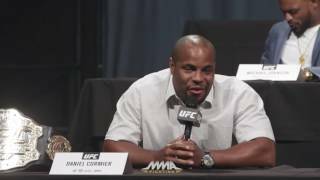 Needless to say that the fighters weren't thinking McGregor was that funny. 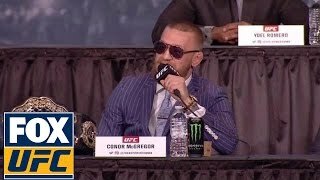 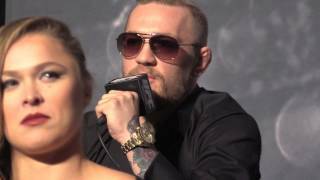 Conor McGregor to Chad Mendes: "You Hit the Deck Like a B-tch!"